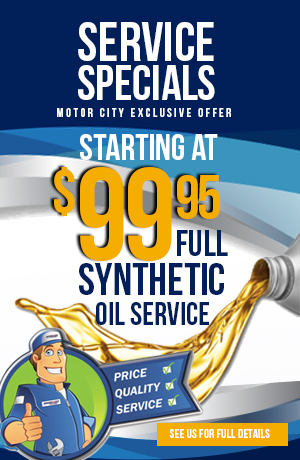 Motor City Chrysler and SiriusXM have launched a new program! At your next service appointment you could be eligible for a FREE 2 month trial of SirrusXM Radio with Free Online Listening! Certain Eligible Vehicles may not qualify for the promotion as part of the Service Lane Program, including vehicles with active Sirius or XM satellite radio service subscriptions, vehicles which have received the Sirius or XM satellite radio service (on a trial or paid subscription basis) in the prior 12 months, and/or other vehicles as reasonably determined by SiriusXM in its sole discretion. SiriusXM may at its discretion provide trial services or other services to owners of vehicles that do not qualify for the Service Lane Program.